Jackie Barrett is living the most unusual life of anyone I have ever met. She was born at home in New Orleans to her father Andrew and her mother, Mary Palermo. Mary Palermo was a high priestess in the occult and a Sicilian voodoo priestess. Her father was a Blackfoot medicine man. She is the youngest of 6 kids that grew up in a plantation style home that included a funeral parlor and an embalming room. By age 5, Jackie was helping her mother conduct séances. Before adulthood she was traveling the world participating in exorcisms, some of which were Vatican sanctioned. 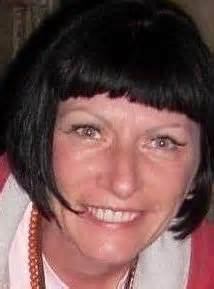 She is married to Will Barrett and has a daughter named Joanne. Jackie is known for her TV appearances on Medium P.I. and America‘s Psychic challenge. She is a TV producer and an author. 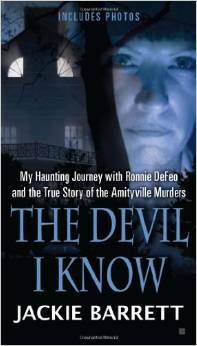 Her latest book, The Devil I Know, is about her true life experiences with the devil and imprisoned murderer, Ronnie DeFeo of The Amityville Horror fame. Let’s learn a little more about Jackie from Jackie herself. Abby: Is this correct? Your dad used to make moonshine that you brought to the hobos? Jackie: All the time. I was the rebellious one. I found a way to escape what I was doing on an everyday basis at such a young age, to see what other people were doing. I found that, at such a young age, they impressed me. I was taken aback not only by the loyalty between them, but the brotherhood, and how everything was told in story form. How they stuck together and they lived on a dream and a jug of moonshine. Probably the things I learned from them staying still on those tracks were probably more impressive and important in those informative years than all the travels that I have come across. Abby: Your parents taught you not to show fear? Jackie: Absolutely. Not to show if you were experiencing something. But growing up as a psychic medium, you are going to see and hear things that other children your age don’t. Abby: Other adults our age don’t! Jackie: You don’t have anyone to talk to about it. You know already to just keep it next to you, to keep it beside you. I would have some horrifying experiences, and some good ones. Meaning that you would see somebody you loved, or your pet, that had passed. You could have that comforting feeling. As a child, I’d lay in bed in the dark and wondering what all those noises are. And who’s rocking in the chair across from you in in the dark. You were taught to stay and embrace it. If you ran, it would only chase after you. But I learned later on, whether you run or not, it’s still going to chase you. Abby: I appreciate what you do, but I don’t want to change lives, thank you! Abby: So in New Orleans you lived in a plantation-style house that had a funeral parlor and an embalming room in the rear? Jackie: By trade, the Polermos were undertakers going way back. My grandmother on my mom’s side, they brought it from Philly to Louisiana. Basically it was there, no matter where we lived. They were morticians. I knew to hold the mirror up while my mother did the makeup for the dead. I thought back on that. What was the idea of it? And she was an incredible medium. Her craft is the thing that took her down. The idea of holding the mirror up was that the spirit could see how beautiful they looked. She took pride in that. They looked very much alive. I remember her playing their favorite music while she took care of them. At one point, sheets would cover all the mirrors until they were completely put back together in their best clothing. So she hid the scars of death from the spirits. Abby: She really respected them. Jackie: Exactly. So being dared to go down there and take a look at somebody… I remember there was a dentist that had passed on. He was up there in age. I used to think he was the vet because he’d take care of our pets, too, and he pulled out my first tooth. I’m pretty sure he was the vet. He was up there and old. He was downstairs in his last resting place. My brothers dared me. I put the tough back up, the stiff back, and it was like, “I bet you won’t, I bet you won’t” and I did. One of my other brothers was lying under the gurney and he grabbed a leg. I just remember waking up in my bed and I wasn’t sure how I’d got there. My older brother said to me, “You know you made such a ruckus when you hit your head. Mommy would have killed us all. I brought you up to your bedroom.” I had fainted! Abby: I shouldn’t laugh but I can relate to playing pranks on your youngest sister! Jackie: Just frightening. I didn’t hold back. I purposely wanted people to know that even someone as me who thought they’d seen it all and has seen a lot, is human first. And it’s okay to be afraid. You know, this is probably the first time in my life, that I said that it is okay, and you’re supposed to be scared of these things. You don’t have to brave it up all the time. Hopefully, through this journey and through this book, other people who are suffering and have suffered some of these events, that there is help and that you’re not alone. That’s really important. You’re not alone. So many people come to me, and sit down in my office and tell me of these experiences. They don’t have psychological problems. That’s the one thing I look for first. It’s destroying their life, they are even thinking of ending their life. They have someplace to go. I would never turn anyone away, and I haven’t. To share, to be open and to be able to share such things, is so important. We have helped many families and seen them through things like this. Things I confronted in my life and kept very silent about it. I knew the signs and I knew what was happening. To see them in a better place, the reward is just incredible. It’s sort of like you pack it up, like a little package, and you file it away into the happy file. Yes, there is life after being attacked or living with these entities. Because of what I do, I try to come to peace with it. There are times that I’m like this is my space and that’s yours, and even though we’re in the same room, you’re not coming near me. It’s a rollercoaster. Abby: Speaking of rollercoasters… I first heard of you when you were on America’s Psychic Challenge. I thought your skills were amazing. But I was taken aback when you mentioned that you use voodoo. I think that was because I was under the impression that voodoo was only used for evil. Can you explain how inaccurate that is? Jackie: Yeah. That is so inaccurate. It’s truly a form of Catholicism. If you’re deeply into the spirit, the last thing you would ever do would be to reflect bad onto someone else, because know that the mirror is a reflection of you. That’s all you are then, and that’s all you’ll ever be. I don’t go near that. I’m sure in anything; there is a double-sided coin. Somebody wants to use something in a negative way. They’re taking a risk with their own life. And also, we don’t need to waste our time with making anything more complicated or bring in any more darkness. Unfortunately people didn’t know, or allow me to finish the sentence, because if I was creating the bad, then why would I be fighting it? Not just for my lifetime, but for others as well. The thing is that voodoo is very much with the earth. It’s very close to the American Indian side, where if you take, you have to give back. And we give twice as much back, just for being allowed to take. And when I say take, actually you’re asking to be granted protection and peace. When people come to me, and they’ll say, I’ll give you an example: “I’m down on my luck with money, and I need something.” Well, we’re against gambling, because you’re just throwing it away. You may as well just keep that dollar in your pocket. There is work you can do. Someone comes to me looking for riches, “I’m looking for more.” We have to be very careful with that because we are opening up a door that glides under the rule of gluttony. I try to counsel them into a way where you can have just enough of what you need and be satisfied and be happy. And the spell that would be done for them is to unblock what they have blocked out for years and to prosper in a way where you would be proactive in getting the work that you should get. Millions are not counted in the form of money. It’s counted in what you do. And what you do shall bring what you need. I have that tattooed on me. There’s a little tiny hand and it has a little lady’s glove on it. And in the center of it are a few crumbs. So don’t ask for more than what you truly need. Abby: You have another tattoo on your wrist of a pentagram. What does the pentagram mean to you? Jackie: Protection. It’s something that is like the sign of DeVinci. It’s something that I was brought up with. It’s not the goat’s head. Because then I’d just put a goat’s head. It is the sky, the human form of the body. If you spread it out it’s the head, the two arms and the two legs. It’s the sky, the earth beneath us, and the arms stretched out. It’s the world of humanity. The circle around it is your family. It means something different to us. Joanne has it and my husband has it on his chest. I’ve been stopped and asked what is that? People look at you in a way waiting to hear something horrible and scary. It’s nothing like that. It’s a form of protection. It’s the thread that connects us all together. Indeed, when we enter into the other side, we will be identified, and that has something to do with the American Indian side. We’ll be identified by our own stamp. Abby: I’ve heard that before. I feel sorry for all the people that have tramp stamps now. Thank you for explaining. Abby: Is Ronnie DeFeo still alive? Jackie: Yes, yes he is. Once bitten, the scars don’t heal. Abby: Are you talking literally? Jackie: Spiritually. I think when you come to the realization in your life that you killed your makers, your parents, because something took you over, and it is possible, the scars don’t heal. You know I’m called onto these cases all the time. We could say it was the drug use. It was abuse. It was a lot of things. He also had a way out. He had a large amount of money all the time. He was spoiled rotten, and he could have taken that money and fled. He could have done it even after the killings. He had a huge amount of money. I questioned him many times: “Why didn’t you just jump on a plane?” I wanted to know his answer. He thought about it and he said, “I couldn’t. I couldn’t leave them.” So there was the human side, the very small part of him that didn’t want him to abandon what he had killed. The devil’s hand was totally at play, because it made sure he did the deed, and it tossed him away. And it’s like, you did what I wanted. You showed the world that this is true. I do live. I lived through you. You took down this family. It has been a landmark of horror for 40 years plus. And I am on the map. Thank you Ronnie DeFeo, now rot in prison. So that’s what the devil does. Abby: What will you do with all the letters from Ronnie DeFeo or the taped conversations? Will you keep those? Jackie: There’s letters, there’s body fluids, there’s teeth, there’s hair, there’s drawings, there’s clothing, there’s jewelry. Everything was boxed up with the form of exorcism that we use and tightly, tightly secured away. We were so frightened to let anybody know where these things are because we don’t want people getting at them. We do not ever want to see this happen again. And it is out there. It’s more frightening than anybody could ever imagine. The things that have happened to us… I’m a pretty tough person, and I don’t lay down for nothing. This thing buckled my family. Abby: Have either Uncle Ray or Abby the housekeeper moved back in? Jackie: Abby has not come back. She refused. She just won’t come back. There were things that happened that we couldn’t even put in the book. There is a line in life, and we need not to cross it. I was fearful other people would find out, not about what happened to us, but other people would find out that these things do exist, and they want this in their lives. We have to be very careful not to allow it to get into someone’s life because they think it empowers them. It does nothing but destroy. Evil does nothing but destroy. There is nothing glorious about evil. There’s nothing empowering about it. Fighting it is empowerment. This is your life. Everything is an illusion. He’s putting things in your way. He plants thoughts into your mind, and the most frightening thing to me with Ronnie was that he kept saying that someone else was in the house. I kept trying to bring him to the realization that if everyone was dead, why would someone just be sitting in the house. It doesn’t make sense. It was everyone but Dawn. Dawn was still alive. Somebody else was in the house. Why would they take the chance of that? They could be up for murder. It just didn’t make sense. And when he ran outside – he said he chased him. I said, “What was he wearing?” I stood on this one subject for 8 months, every day, because he was struggling with it. And I said, “What was he wearing?” He drew me a picture, and he wrote it down. I’ll never forget it. He called me… the warden let him call… it was at 6:10 in the morning, and our calls weren’t to start until 10 o’clock. He said, “He was wearing what I was wearing.” I said, “What did he look like?” He said, “I only saw the back of him.” I said, “What did he look like?” He said, “It looked like me.” He led you to believe that you were chasing somebody out, and when you got out there, nobody was there, and you were holding the gun. It’s the master. The devil is the master of illusion. But I also have been quoted, and not too many people have asked me why I would say such a thing, and I know enough because of everything I have seen and dealt with. If you do not respect it, it will come and smack you across the face. So there’s a difference between being part of the evil act and respecting the power that it actually has. If you don’t respect it, it will turn on you. And it will come for you, because you show a form of weakness. Abby: The experiences that you talk about in your book are the things of Hollywood horror movies. Have you and your family recovered from the experiences? Or do they continue to happen? Abby: Now I’m wondering was it really you I had my picture taken with. Abby: What does it mean when you say that you’re bonded by several DAs across the country? Jackie: I’ve been involved with several high profile cases and I was called onto them through the DA. When you go into the DA’s office and you’re working on a case, you’re going to the crime scene and bringing back your information. Not just by the layman’s eyes, but by that extra part you have to work with, that extra sight. So when you bring back the information, you are not allowed to speak of this. You are their ally. There are several DAs that I’ve worked with and am now working with that you just can’t bring up the case. You can’t talk about it. You’re working on it. You’re getting the information they need to win the case. Abby: So you do work on current cases, not just cold cases? Jackie: No, absolutely not just cold cases. Abby: Do you work on cases other than homicide, such as missing children? Jackie: Yes I do. Missing children and missing adults. There’s a case, a few cases that came to me that were older people. Probably suffering from dementia and just went walking around. Some people who actually thought – and that’s in my next book about the NY Zodiac – that a family member was dead. I knew right away he wasn’t when they were talking. I went out looking for him and found him. Abby: I know that you are an animal lover. Don’t you have 5 cats and a dog? Jackie: Unfortunately, I’m at two. In the process of doing The Devil I Know, one after the other, except my two girl cats, three of my cats had passed and my dog, Max. Jackie: I am a huge, huge animal lover. There isn’t an organization that I’ve ever passed up. I support Best Friends, have even flown in animals to be placed up for adoption. You know, paid for their flight from Nevada. I still refer to Max as my son; he’s still my baby. You would think he is still with us in body the way I speak. I carry Max’s hair around with me. Every time Max got groomed I would sweep up his hair off my floor and I would keep it. I bought an antique doll after he passed. I didn’t know why I had to have that doll. It came from an older gentleman in his 90’s. He was selling off the estate. His mother of course had passed away. He said, “My mother walked around with this doll as though it was a baby.” Now I want you to listen to this. I had to have that doll. I didn’t care how much it cost. I had to have it. And Max’s spirit was near that doll, and I had to have it. And I got it. When it came, I unwrapped it as precious as you would unwrap the crown jewel. I took that doll out. I held that doll. I let my tears drop on that doll’s head. I undressed that doll from its original overalls, turned it around. It said, “From my dear brother Max who passed away at birth.” It was a twin. And his mother walked around with that doll, named Max. Isn’t that something? 92 years she walked around with it. Abby: That’s amazing! Okay, silly question. Do you still listen to Jim Morrison? Abby: It’s still how you prepare for a séance? Jackie: I do. And I actually do a war dance to it. Jackie: “Roadhouse Blues” And I have some of his original artwork. I have his Mardi Gras beads from when he last played in Louisiana. He felt the spirit leave out of him. He knew he would never be back. They fell off his neck at the end of his set, at the end of his song. It’s like he lost something in him, and they fell off his neck. And believe it or not, I found them in Germany. Abby: You knew they were his? Jackie: No, a collector had them. He said, “I have something I don’t want anymore.” I wanted to go visit him quietly, and I was actually looking for something else. He told me that he didn’t want them anymore because there were too many things that were happening around them. He didn’t know who would take care of them, and where they should go. I picked them up, and I said, “These feel familiar, they smell familiar.” I remember my mother giving him a pair, and she told him to keep them. She said, “You just take it.” I went to go write a check and he asked me to get out. He asked me to take them and get out. So I have them. Abby: Your mother gave them to him? Jackie: That’s what I’m saying! In Germany! Like hello! And I got kicked out, with the door hitting me, too. I was like: I’ve never been thrown out like this before… well maybe once or twice, but not in Germany. Abby: Jackie I enjoy your stories and I know that you are already working on your next book about the New York Zodiac, Heriberto Seda. Jackie: Yes. When I finished The Devil I Know I said, “Wow, that has to be one of the most horrifying experiences since seeing my own mother like that, until I met the Zodiac killer.” And I’m not talking about the man – yes the man I met – I’m talking about what resides next to him. And he’s not like Ronnie, fast with the mouth. He sits quiet and still. Abby: OK you are giving me the chills now. People need to read The Devil I Know before we get into the next book. I hope you will talk with me again when your next book comes out. Thank you so much Jackie!